This is a great starting point! The season helps you set a theme and decorations for your big day. If you are thinking fall you can use darker colors, pumpkins, and different pies for dessert. Winter can be Christmas themed, with roses, and cookies for dessert. Spring is the best season for wild flowers, strawberry cake, and pastel colors. Summer is perfect for sunflowers, sweet tea, and BBQ. Choose what fits you and your fiancé best and go from there! Your wedding should be all about you and your fiance so why not choose a date that is important to you both. Maybe choose the date that you made it “official” or the date that your fiance asked you to marry them. This is such a romantic and personalized touch! Of course there is no stopping Mother Nature but you can pick a time of year that is known to have good weather. Of course if you choose to have your wedding in Texas in the middle of the summer always plan for it being very hot. If you choose a spring date you might want to think about rain. Planning a winter wedding, you won’t have to worry about snow in Texas (hopefully) but it could get very chilly. 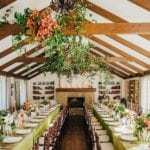 With all of these factors you will definitely want to have a backup plan with your venue if wind, rain, heat, or cold weather strikes on your big day. 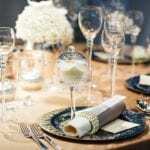 Going with a weekday or Sunday date will save you a lot of money and not just on your venue. Many other vendors give steep discounts for those couples getting married on any day but Saturday because they have many weekday or Sunday dates open. Be sure to ask if they charge extra for a Friday or Sunday near a holiday, that could be the same pricing or more than a Saturday date. Whatever date you choose it will be the best day of your lives! Good luck and happy planning!